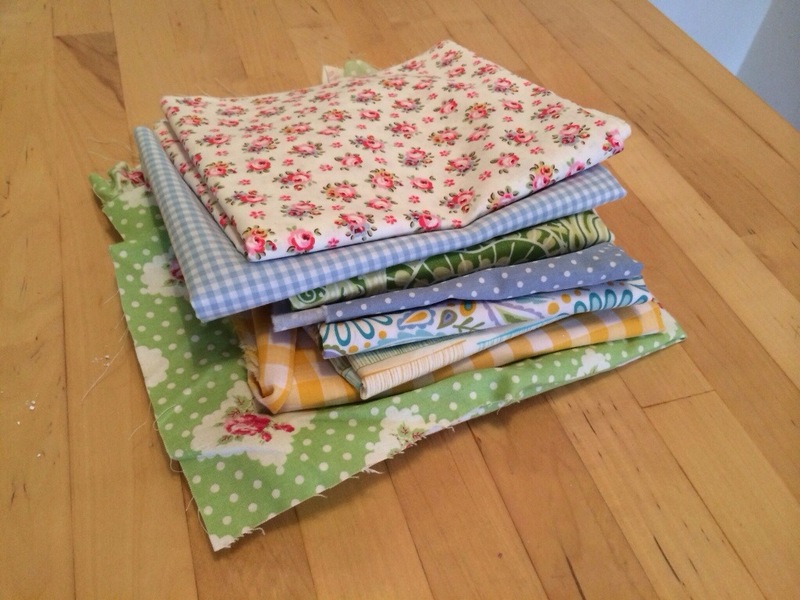 I am a bit of a fabric hoarder and found all of the fabric in the photo below from my secret stash! 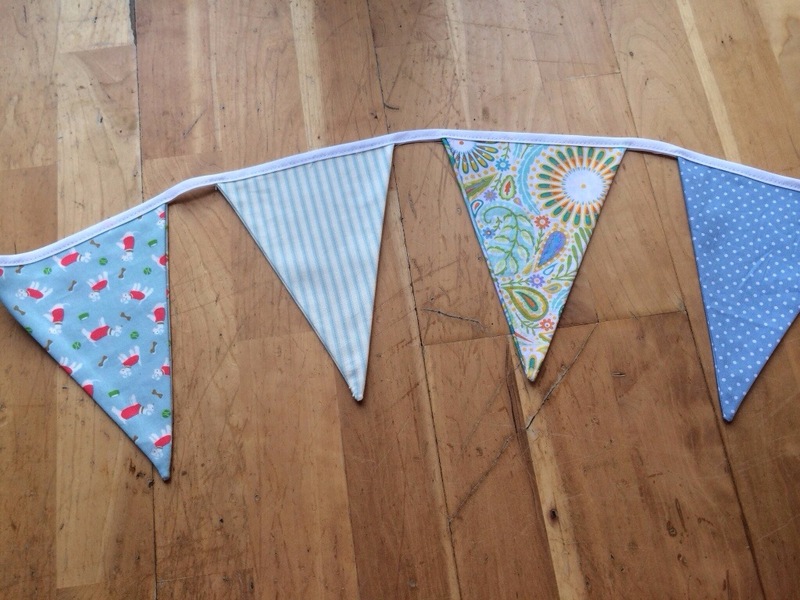 I wanted the bunting to have a vintage inspired feel so these fabrics fitted perfectly. 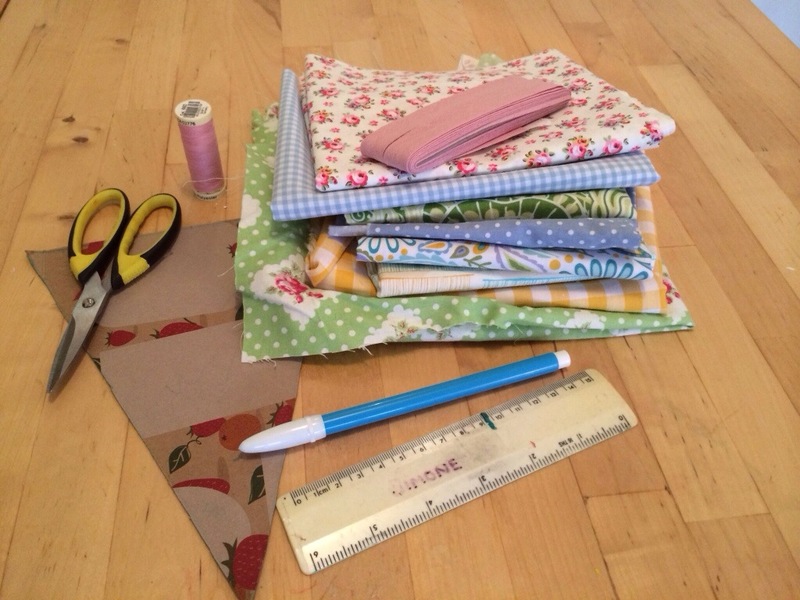 To make the bunting you need several things apart from the fabric; a fabric marker (mine is water soluble), pins, fabric scissors, ruler, bias binding (shop bought or home made) and matching thread. I made my triangle template from some cardboard I had laying around. I think it was 6.5 inches at the top and 8.5 on the diagonal, but to be honest I have completely forgotten! 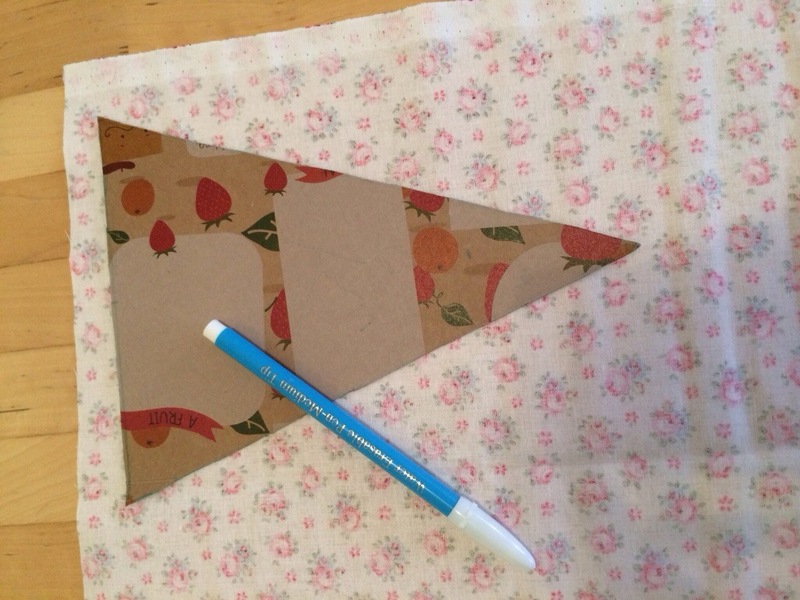 Draw out your triangles on the fabric using the fabric pen and cut out. I used the same fabric for the front and back, but you can use a plain colour if you want to save on the more expensive fabric or you know that only one side will be showing. You can make your life even easier by folding your fabric in half and cutting out both sides of the triangle at the same time with the rotary cutter. A rotary cutter does make this job a lot quicker than scissors. 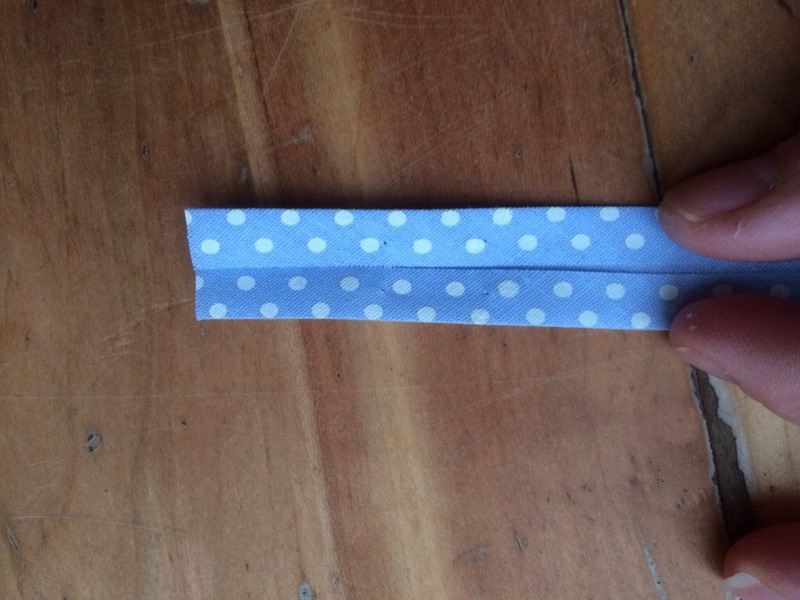 Once you have your triangles, pin the right sides together and sew with a 1cm allowance along the two long sides of the triangle, leaving the top open. Trim around the point and turn out (so the right sides are now on the outside). 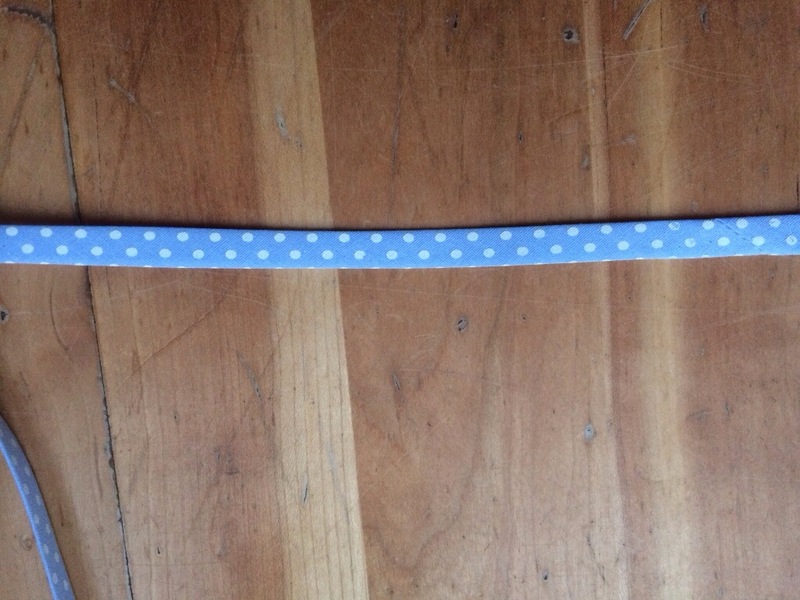 I used shop bought bias binding, you can make your own but sometimes life is to short ;) As I was making three different lots of bunting you will see my bias change colour randomly among the next few photos, from white, to pink to spotty blue!! The bias from the shops comes as shown below and is double folded. 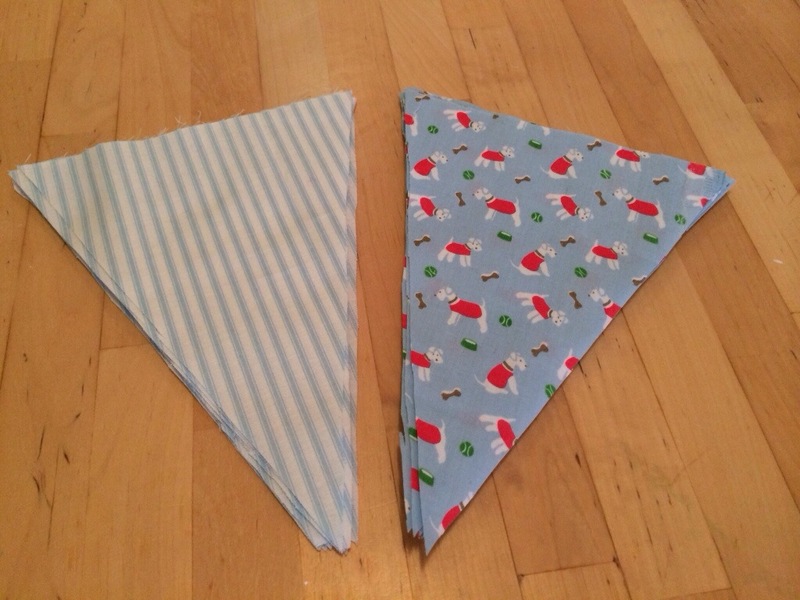 Now, when making this bunting you need to fold the bias in half, pin it and iron it so there is a lovely crease, making it easy to slip the bunting triangles into and sew together. 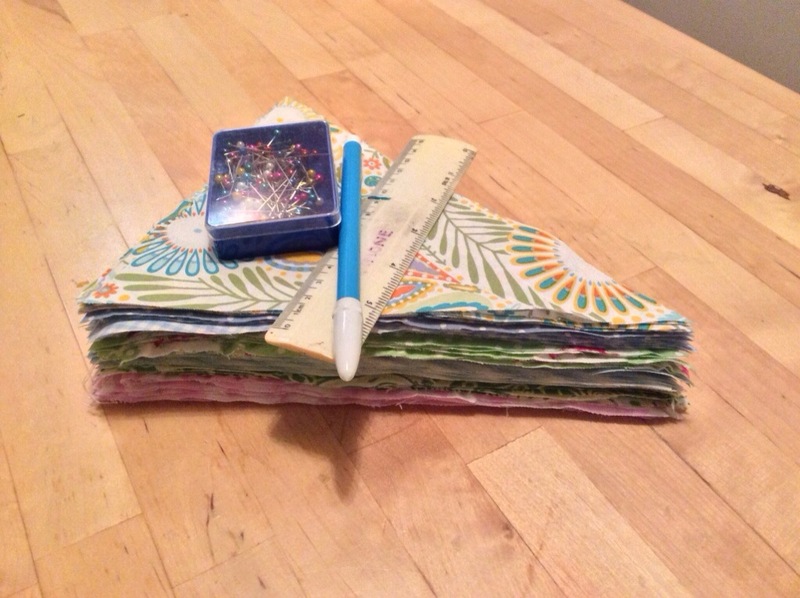 Once you have ironed all the bias, put the bunting triangles in between and pin in place. I used a 1.5 inch spacing between them. 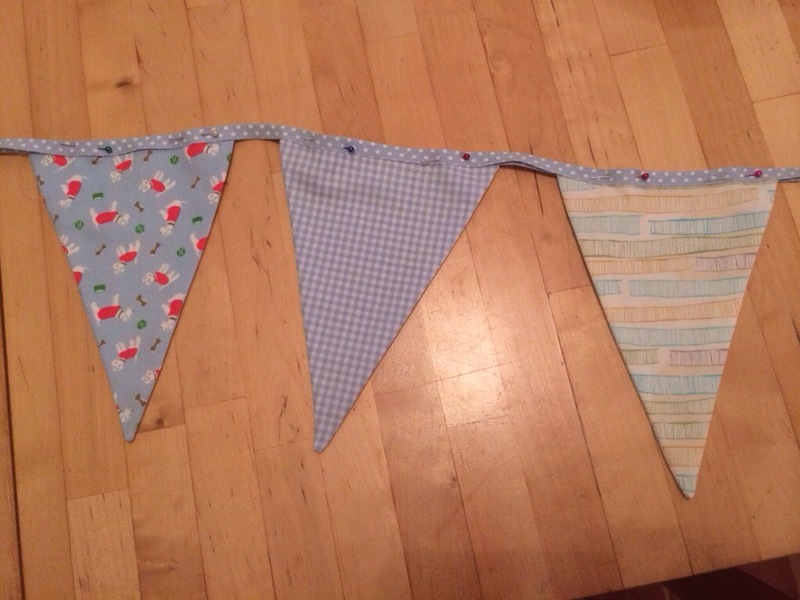 Then it's just a case of sewing it all together and voila you have gorgeous bunting!! 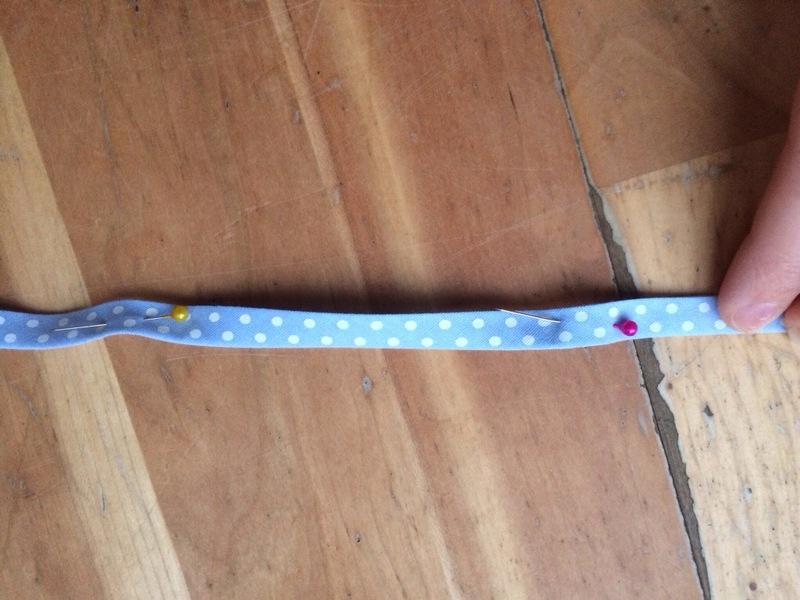 Let me know if you have made any bunting recently!